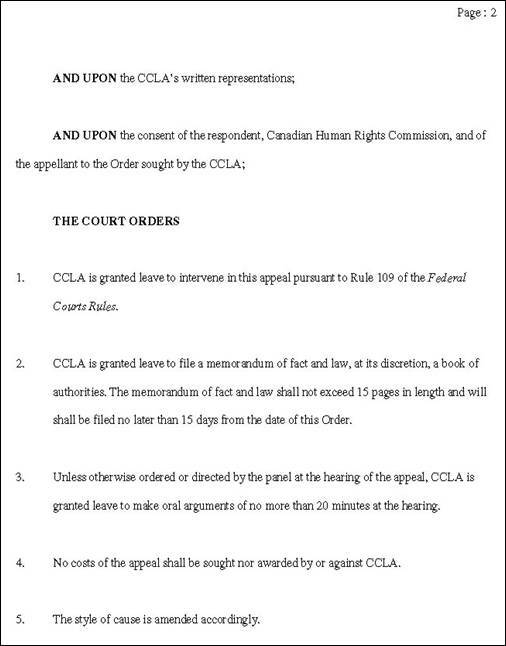 [APRIL 29, 2013] The Federal Court of Appeals has granted Intervener status to the Canadian Civil Liberties Association [CCLA] and the Canadian Association for Free Expression [CAFE]. Both groups are intervening in support of freedom of speech and seeking to have Canada’s notorious internet censorship provision – Section 13 of the Canadian Human Rights Act – struck down as an unconstitutional abridgement to our Charter rights of Freedom of Expression. 1. The CHRT must have the ability to examine the manner in which section 13 is administered generally as part of a proper contextual analysis under section 1 of the Charter. 19. 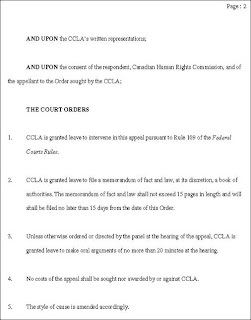 The CCLA will submit that the Court’s conclusion in this respect constitutes an error of law. The CHRT has the jurisdiction to consider a constitutional challenge to its constating legislation. In fact, administrative tribunals are often in the best position to hear such challenges at first instance.25 Where administrative decision makers have explicit jurisdiction to consider constitutional challenges to their constating legislation, they must be permitted to conduct a full and comprehensive section 1 analysis. 20. 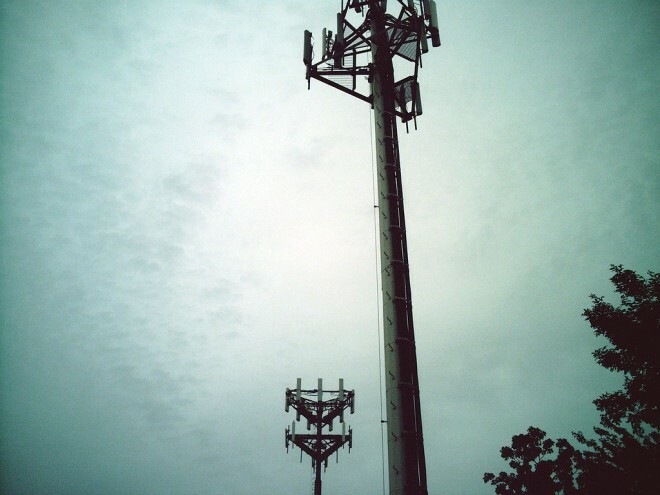 A full and comprehensive section 1 analysis includes an assessment of the effect of the legislation. In the context of this case, the CHRT’s considerations addressed the heart of the Supreme Court’s finding in Taylor. An exploration of how the functioning of the scheme is experienced by respondents is a necessary component of an assessment of the chilling effect of the legislative restriction, particularly as it relates to future speakers. 21. Looking behind the text of the provisions was also required to assess whether the monetary penalty was administrative or punitive in nature. An understanding of the manner in which respondents experience the statutory scheme is highly probative and may tip the balance towards a more punitive interpretation. Again, this understanding is crucial to the section 1 analysis. 25. The “chill” on freedom of expression caused by the operation of sections 13 and 54(1)(c) and (1.1) of the CHRA is not remedied by carving off the penalty provisions and declaring them of no force and effect. 26. The very existence of section 54(1)(c) has coloured the underlying offence of hate messaging, making it more intrusive on free expression than originally envisioned by the Supreme Court in Taylor. The penalty provisions carry significant stigma, and by consequence, a “chilling effect” on free expression. This “chill” on speech captured by the scope of section 13 is not rectified by severing sections 54(1)(c) and (1.1). 30. 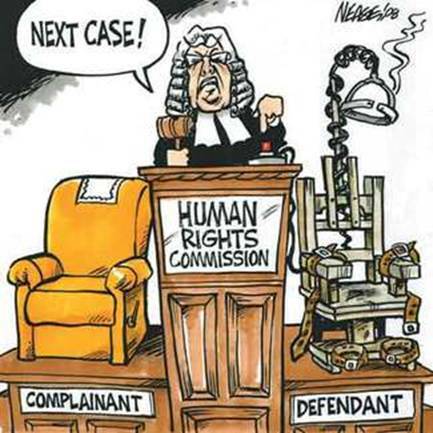 The CCLA will submit that in the context of freedom of expression cases more generally, severance often serves to keep impugned statutory components “on the books” and thus contributes to an ongoing chill on free expression, undermining the attempt bring the statutory scheme on-side of the Charter. The Canadian Association for Free Expression has been an intervener for freedom since the very beginning of the Lemire case. Both in front of the Canadian Human Rights Commission and before the Federal Court, CAFE has been steadfastly against censorship laws. 1. 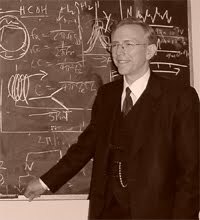 CAFE will submit that based upon the expert testimony of Dr. Michael Persinger given before Member Hadjis of the CHRT that the foundation of s.13 was based upon correlational analysis by Dr. Harry Kaufmann contained in the Cohen Commission Report (cited by the Supreme Court of Canada in Taylor) and was not based upon empirical studies. 3. Empirical evidence established by modern cognitive neuropsychology casts doubt upon the negative effects of "hate propaganda" proposed by Dr. Harry Kaufmann making his conclusions on the subject unverifiable. There is also no scientific evidence that "hate propaganda" makes minorities afraid, deters them from full participation in society and makes them doubt themselves, such that the legislative justification for s.13 is now entirely questionable. 4. 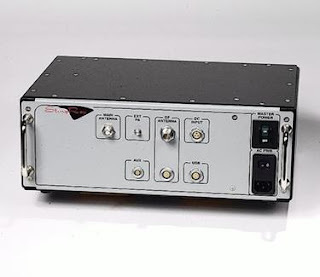 The Taylor case did not anticipate cognitive neuropsychology research and series that have resulted in a greater understanding of the effects of "hate propaganda" upon individuals and groups in Canada. The 1966 Cohen Committee Report on "hate propaganda" on which reliance was placed by the court in Taylor requires re-examination in light of modern psychological theory and empirical data not available in 1966 and only beginning to be understood when Taylor was decided. 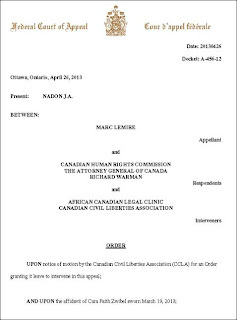 In 2003, serial plaintiff Richard Warman filed a Section 13 complaint against Marc Lemire for hundreds of postings on the Freedomsite & its message board. None of the initial posting complained about were written or approved by Marc Lemire, but because he was the webmaster of the message board, the CHRC has prosecuted him for 10+ years now. The law was enacted in 1977 in order to silence a man named John Ross Taylor for messages he recorded onto his telephone answering machine. In the intervening 30+ years, not a single person who has been hauled up on Section 13 charges has ever been acquitted - a 100% conviction rate. Since Marc Lemire and his courageous lawyer Barbara Kulaszka went to work, the entire landscape of Section 13 censorship has changed. 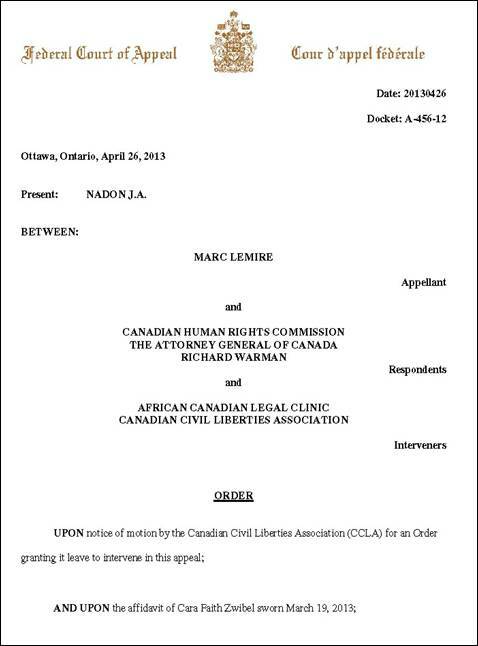 On Sept 2, 2009, the Human Rights Tribunal fully acquitted Marc Lemire, and refused to apply Section 13 due to its unconstitutional provisions. Please find some time to write to the Senate and ask them to pass Bill C-304. This will strip the censorship powers away from the fanatics and “Nazi Fetishists” of the Canadian Human Rights Commission. What's Up with Bill C-304? Many of our readers are quite familiar with Bill C-304, that freedom-enhancing bill sponsored by Mr. Brian Storseth that seeks to repeal the censorship powers of the Canadian Human Rights Commission and Tribunal. It passed through the House of Commons relatively easily and moved on to the Senate. That was (at time of writing) 314 days ago. As we reported back in February, the Bill is still languishing there in the Senate, stuck at the "second reading" stage. So what's going on? As Connie Fournier over at Free Dominion notes, controversial 400+ page omnibus budget bills sail through the Senate in 11 days! The gun registry bill passed in 49 days. What gives? Why is a so-called "Conservative" dominated Senate holding up a free speech bill when 99% of the Conservative membership voted in favour of free speech at the latest policy convention? Is there maybe a link here with the fact that under the Conservative government, funding for the Canadian Human Rights Commission has actually increased? We hope not. 1. Below is a sample letter for Senators that you can copy and paste into your email browser. We recommend that you edit the letter to make it as personal as possible. Then select the Senators that are in your province (see the list below for B.C., Alberta, Manitoba and Ontario as well as a complete list of all Senators). Copy their email addresses into your "to" field. Create your own subject line. Send off the email. Also, consider calling a few of them to chat directly about this issue and why it matters to you! 2. Below the Senate letter is a sample letter for the Prime Minister. Send that email to the Prime Minister as well, but also (and this is key!) follow up with a phone call afterwards. Just tell whoever answers the phone exactly what's in the sample letter. 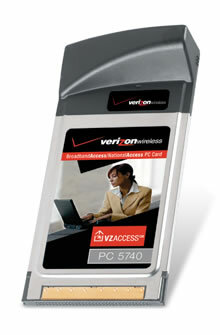 The contact information is listed below the sample letter. That's it! You've just contributed to the preservation of freedom in this country! Thank you. I've just learned about Bill C-304, the free speech bill. The Bill seeks to ensure freedom of expression for all Canadians by repealing section 13 (the censorship provision) of the Canadian Human Rights Act. This Bill needs to pass through the Senate soon. I understand that it has been stuck in the Senate for over 300 days already! Some people argue that section 13 is necessary to protect vulnerable groups. However, the evidence is quite the opposite. The section has been abused by a select few for their own purposes and financial gain. And real instances of hate speech are already prohibited in the Criminal Code, which has the proper legal safeguards for fair trials. Honourable Senator, it is obvious to me that section 13 has to go and that Bill C-304 should pass. Please vote for it and ask all other Senators to do the same. I'm sure you are familiar with Bill C-304, the free speech bill. You have consistently voted for it in the House of Commons. In fact, 99% of the membership of your Conservative Party also favour the bill. This is why I am contacting you: I am very confused as to why your so-called "Conservative" Senate appointees are holding this bill up. The anti-censorship bill has been stuck in the Senate for well over 300 days now. Is there anything you can do to encourage them to get this necessary bill passed? For the sake of freedom, please have the Senate pass this bill like they did your omnibus bills. * Total number of allegations cited exceeds the total number of received complaints because some complaints dealt with more than one allegation. * Includes employers in the core public administration, separate federal government organizations or agencies and Crown corporations. And we need Section 13 censorship for???? ?